Carl Jung says he has analysed more than 2.000 dreams per year, a very impressive number by anyone's standards. In his Dreams book, which a very good collection of many of his dreams experiments, he is after demolishing some Freudian's dreams concepts, mainly the one which asserts that the purpose of dreams is to fulfill infantile sexual wishes repressed in the unconscious, which don't find adequate outlet trough conscious activities. To add content to this dispute, one has only to have in mind that Jung was a very ardent disciple of Freud in the beginning of his career, but the relationship turned sour after 1914 in the figthing for prestige at the foundation of the Psychanalisys in the beginning of the 20th century. In Jung's view, dreams are not only wish fulfillers, but they are also compensatory vis-a-vis our daily conscious life. So, the purpose of them is to balance our conscious and unconscious life. So, if life is good, dreams are bad and vice-versa. At the end of his life, Jung said in one of his testimonials that by means of a very representative dream he closed a circle, which meant he got a balanced mental life between unconscious and consciousness. Also, dreams should be taken not as isolated entities, but rather as a series of concatenated manifestations of the unconscious, something which could be represented by the ancient mandalas (Sanscrit for circle) of many peoples from the ancient world (mayas, hindus, polinesians, etc...), where the ultimate end is to attain a balance mind. Jung's theory of the unconscious is, in my opinion, pretty much more attractive than Freud's, specially in what it regards the timelessness of the unconscious and the unconscious collective. 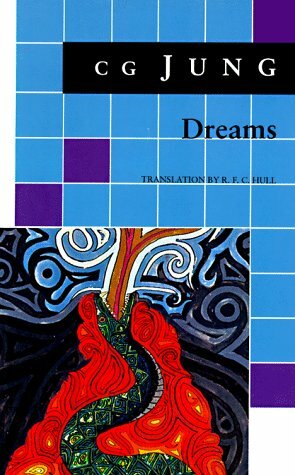 Reading "Dreams" after reading Freud's "Interpretation of Dreams" is a magnificient experience and the winner is surely the reader, who gets the most of two of the most proeminent and polemical psychanalysts of all times. About God, Jung said, I don't believe, I know. As soon as you read 'Dreams', you will have a complete sense of his amazing insights, not only on the subject matter, but on the complete human pysche. And this includes, as I tried to hint at from the very beginning, the very meaning of our existence. Perhaps there would not be a Jung today, if there had not been a Freud preceding him. But a completely ignorant educated man here says, having read them both, that Jung's proposal is far more clever, ellaborate, comprehensive and convincing. Jung was a unique scholar, he had a very distinctive ability to blend a lot of knowledge from seemingly unrelated areas of science into pyschology. His biography is an essential starting point to understand how he managed to develop this quality, which I think was key to his original thinking. 'Dreams' is a book of rare brilliance. Thanks to Jung, for providing a 'basis' for all things. Useful if you don't feel like poring over the Collected Works looking for some of Jung's theorizing on working a dream. You might also check out Jung's Dreams seminar. Sorry but this is Dutch. In het boek dromen probeert Jung helderheid te verschaffen in de oorzaak en de bedoeling van de droom. Freud droomtheorie gaat er van uit dat een droom onstaat door een verdrongen wensgedachte. In feite is dit een causale beschouwingswijze. In het kort gezegd, Freud erkent alleen de oorzaak van de droom en niet het doel. Jung probeert te laten zien dat de droom (verborgen) informatie bevat over de psyche van de dromer en daarmee ook een doel heeft. De subject- objectniveau beschouwing gaat hier verder op in. This is one of the few books Marie-Louise von Franz actually wrote (as opposed to being a transcription of seminars she gave at the Jung Institute in Zurich). Thus, in many ways, it is quite dense, and a difficult read. But, I believe this to be one of her finest works, and I'm more than pleased that Open Court has kept it in print. Herein, von Franz details (in two separate sections of the book) the history of scientific discovery and the history of the evolution of religion. The interesting thing, however, is that her focus is on the *errors* made at each step along the way. These, she maintains, represent projections of the unconscious psyche. And, therefore, we have much to learn about ourselves by studying how these things came to be. It truly is a fascinating piece of writing by my favorite of the first generation Jungian analysts. I'm also a reader of Michel Foucault, who offers another history of human thought. But, unlike Foucault (himself a psychologist), who's focus is almost exclusively on issues relating to external polical power, von Franz's focus is inward, trying to define (as did Jung) the nature of our individual unconscious selves. If your goal is a better understanding of who *you* are, then you should read this book. Current Jungian thought, influenced highly by Object Relations theory, has tended to minimize von Franz as merely one of the "handmaidens" of Carl Jung. But this woman is far more than just that! She is an intelligent (even brilliant) individual, who was able to take Jung's thought into realms he only alluded to. This book is well worth the effort you will put into reading it. HIGHLY recommended! I've often referred to Edward Edinger as "the primier theologian of Jungian psychology." By this, I don't mean that Edinger knows a lot about theology (which he does). Rather, I mean that Edinger is one of those earlier Jungians who accepted Jung's views as gospel facts to be believed. Fortunately, he was also a highly intelligent man who was capable of expounding the details of Jung's personal psychology. Many of his books explored various aspects of Western myth and religion. THE CHRISTIAN ARCHETYPE is one of the few that looked at New Testament themes. It's deceptively brief. None of the individual chapters gets hugely into depth. But, Edinger subtly pulls the rug out from under the expected interpretation of these scenes from the life of Jesus. Edinger, you may know, was raised a Jehovah's Witness, and thus he was steeped in the kind of purely literal interpretation of the Bible that most American Christianity promotes. So, it's long been of interest to me that he ended up a Jungian analyst, on the far other end of the spectrum, examining the purely symbolic meaning of religion. Whether one is or isn't a believer is really irrelevent when approaching this material. Adding the symbolic to your current world view will create a more balanced whole. Yes, and it also makes life remarkably more interesting. If you wants to understand the symbolism of the christian myth and don't want to spend hours reading in depth, this is your book It answers the question, what is the point of Christ's message from Jungs perspective, writings and indepth study. Dr. Edinger has many other books that go much deeper if your curiosity is tweaked. 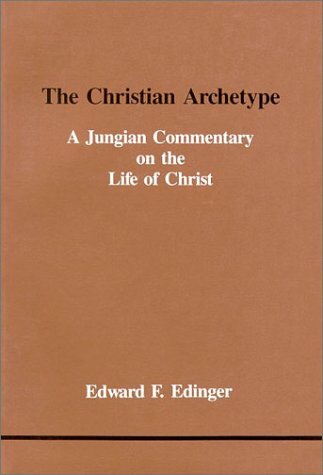 If anyone understood the complex implications and meaning of the "archetype" as Jung used it, it would be Dr. Edinger He tries to reach a audience with varying degrees of exposure to Jungian ideas. He should be applauded for that effort. I realize he doesn't need me to champion his work.. But I will anyway. In the Swedish review previous to mine Dr. Edinger is accused of perhaps being a "lazy dog". Well, perhaps the writer should read Dr. Edinger's writing that speaks to the reality of projection in the psyche. I am a christian and I loved the book. "My own hypothesis is that they mean the goal of individuation, i.e the transformation of the personal ego to archetype". That the personal ego should transform to an archetype does certainly not comply with Jungian theory. This is not how archetypes form. A fascinating and insightful review of Jung. It is helpful to have a woman's approach to how the analytical process actually happens. She gives away the secrets as to how analysis ought to be done by a faithful but always questioning Jungian analyst. I recommend this book for anyone who has problems, who has an interest in psychology, or wants to understand how really advanced therapies such as analytical psychology (depth analysis) actually works. Very practical and useful for the reader interested in implementation of Jungian analysis. It's a bit light, however, on theory. The case examples can be a bit tedious at times and somewhat repetitive. I would have appreciated a greater context applied to the examples through explanation of original Jungian theories. Overall, I think this book is best read in concert with Jung's original texts. 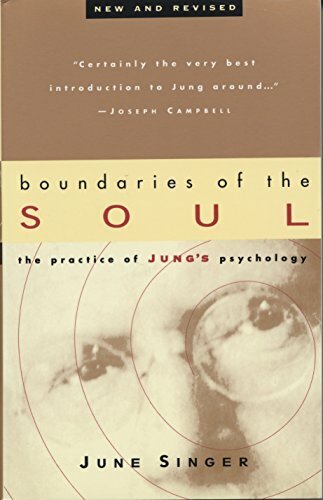 I have to give this book 5 stars not just because I found it to be a very thorough explanation of Jung's theories but also because readers much greater than I have given this book rave reviews as noted from the back cover! Admittedly, this book is not easy to get through but worth the bit of struggle; it seems everyone should be interested in psychology since it's how we think, our attitudes and resulting behavior that rules our lives and the lives of all the human beings that we come in contact with! Interspersed with Jung's theories are real life psychoanalytical scenarios most centered around dream analysis which I thought was way more real and interesting than reality TV! 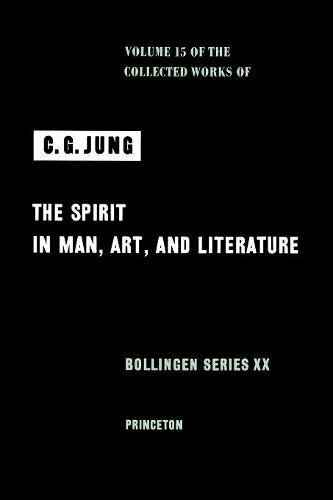 Prior to reading this book, I did not realize how much of Jung's theory has become a part of our lives, such as archetypes, although I think these were originally discussed by Plato, projection and transference, synchronicity and of course the individuation process. The latter is the acceptance of our humanness on a holistic level and the continuing discovery of our potential. Warning, this book may raise your level of consciousness and force you to realize that the world does not revolve around you! The sooner we all face up to the truth of our existence, that all human beings are untied, regardless of their race, color or creed, the sooner we can achieve internal and therefore external peace. I have to write a review, since there seem to be a lot of negative comments on this board about this book, which I find misleading. Jung is not easy. If some readers think that Singer is unfocused and unscientific, Iâd suggest their going to the source. Jungâs writings meander like the subconscious streams he plummets into. His thinking is generally inter-relational and holistic, not as mechanistic and âsimplisticâ as Freudâs theories tend to be. Jung wasnât happy with merely restoring a patientâs ego to the status-quo; he wanted to know and understand the whole-shebang. He had an inkling that there was more to reality than rational systems could explain, and spent his life exploring this realization. Basically, Freud was a depth psychologist using a mechanistic model, where humans are seen as separate units being driven by internal âenginesâ, whereas Jungâs model is closer to a quantum theory of the subconscious mind, with humans, indeed all reality, connected by a field on the deep level that is incompatible with "ego" functioning. All things, he seems to say, affect all other things, just as a lot of quantum mechanical experiments illustrate about the physical world. He called this "inter-realtedness" the collective subconscious for lack of a better term, I suppose. Both views, by the way, are essential; simply two sides of the same coin. Freud developed a more practical, easier to use system, but Jung is the superior theorist. I think Singer not only does an admirable job explaining Jung. Though it takes some work to read, I really like the way she illustrates examples with stories from her practice. She organizes and humanizes the often incomprehensible theories of Jung with real-world examples. I have read the book four times in my life, and have found it ever more reliable and insightful as I grow older. While I still love to ponder Jung, without Singer and her real-world case studies, I would have been lost. 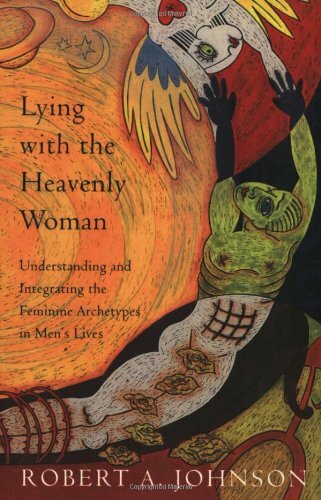 I enjoyed Harding's insightful and profound and yet readable style and her excursions into the Jungian perspective; her historical sense was also enjoyable. However, speaking theoretically, the Jungian tendency which came ultimately from Freud and which she shares, namely to reduce psyche to a rarefied, neutralized, "psychized" form of instinct, troubles me. Perhaps we should see through this to the heroic fantasy below: the pioneer and missionary out to colonize the wild natives. Where there was instinct, there shall consciousness be. Dr. Szasz'definitive work should be revisited by all mental health professionals in this new era of "managed care" and its resultant "new mental health system". Although I don't agree with everything that Dr. Szasz claimed in his groundbreaking book, it seems to me that those who considered him a quack and continued the medical model of mental illness for the last 4+ decades have not proven him wrong. We have miserably failed the "mentally ill", "mentally disordered", people with "problems in living", or whatever term one uses these days. The mental health system and its providers these days use the excuse of managed care to explain its failures, but would be better advised to read or reread Dr. Szasz's forewarning of 40 years ago. It is time to rethink the problem, and a good place to start is with the "Myth of Mental Illness"-before the death of the mental health system is upon us. 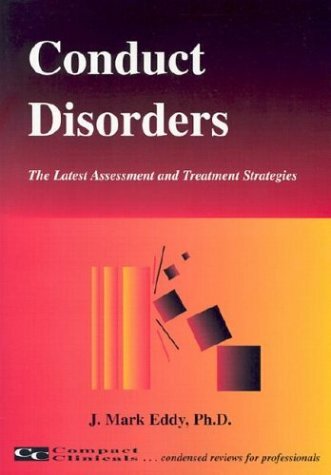 I believe this is one of the most important books in the history of psychiatry. The book is ground-breaking and establishes a new parardigm and organizing concept for many "mind" disciplines. Dr Szasz's ideas are timeless, revolutionary and common sense - not to be contrued as a criticism. Indeed many revolutionary ideas are simple and obvious and I think that is exactly why this book and Dr Szasz must be taken seriously. I am speaking behind the times when I say this because the book is nearly 40 years on the market. However Dr Szasz is as relevant today as ever. Institutionalized persecution of "different" behaviours has evolved beyond the ridiculous to the absurd. Dr Szasz's characterization of this as a "war on personal responsibility" is important from a medical and a moral perspective, as a challenge to the popular notions of "inner child", the gowing "victim" industry (e.g. gambling and shopping "addictions", among many many more) and similiar conceptual garabage. The Myth of Mental Illness creates for the reader a reference point for cross diciplinary thinking in sociology, linguistics, philosophy of mind and science, psychology, history and or course medicine. The concepts are true to human beings as self-responsible moral agents and consistent with the North American work-ethic. Dr Szasz is commended for his insight and understanding of a pyschiatric industry gone mad. The book should be part of Amazon's "Well Worth Reading" displays. Szasz is the father of the "anti psychiatry" movement and this is his best book - a riveting, mind boggling,scholarly read. Sam Vaknin, author of "Malignant Self Love - Narcissism Revisited". It would be nice if Szasz's opinions about mental illness were true; just it would be nice if cancer didn't exist or poverty could be wised away. It would also be nice if people could hold opinions like his (let alone write books about them) without doing incalculable damage. Sadly, neither of these dreams is possible, and Szasz's book is both wrong and dangerous. As another reviewer pointed out, this is the sort of thing one is tempted to believe when one is young and seeking simple answers to complex problems. 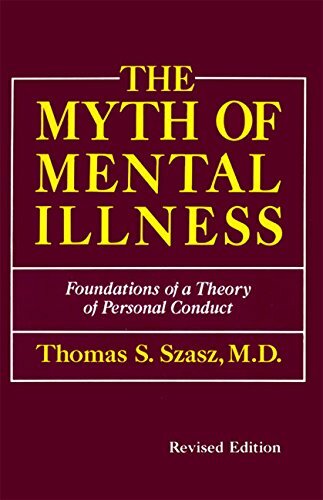 Szasz's makes some valid points about the problems with the diagnoses of mental illness and about the psychiatric profession in general, but his views on the underlying nature of mental illness (a "mythological explanation of human wickedness") are just false. If you find yourself believing them, I urge you to actually spend some time with someone who has been diagnosed with a mental illness or to read one of the many more useful critiques psychiatry (such as Sydney Walker's 'A Dose of Sanity', which also provides a good survey of dangerous and ill-informed views like Szasz's). Meet more people, read more books. I bought this book 8 or 9 years ago when I was a 22-year-old student who roamed the earth forming tidy little opinions on everything I came across. This book fit perfectly into my own opinions, which amounted to telling those who are "mentally ill" to buck up or learn self-control. I don't want to get out of bed some days, but I do. I want to spend more than I have to get things that I want, but I don't. I'm scared sometimes, but I deal with it. Its part of growing up as a responsible person. I thought that as a society we could not tolerate excuses for laziness and failure to control ones desires or fears. The last thing I thought we needed was a massive cradle for the country in the form of the psychiatric community. 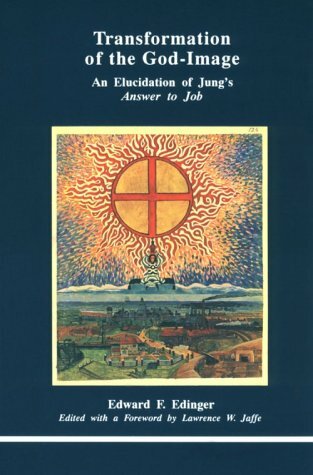 This book is useful in the sense that it helps clarify, and shows the hierarchy of, many of Jung's concepts of deep psychology. However, it has several shortcomings. The most important of these is that, even though the author insists on the importance of inner work with all the concepts explained, he never indicates how this inner work is to be performed. For instance, he states the importance of the four functions of consciousness and the typology that consequently people belong to; however, after insisting on this throughout many pages, and saying that interpersonal relations, especially in the work place, are easier and more conflict-free if we consider the typology of people, he goes on to tell us that there are two ways to find out this typology: a test performed by a therapist or constant study of the person during a long period of time -hardly a very practical way of solving interpersonal conflicts in your work place or of preparing a meeting. With most of the other concepts explained, the suggestions of practical action are even vaguer; only in the two last chapters there is a haste, not terribly detailed, explanation of how to work with dreams and active imagination. So much for the practical, applicable side of this book. Another serious shortcoming is that, when the author explains many of the abstract issues of deep psychology, he rarely gives examples taken from real people; he rather gives invented examples such as, "when a person is under the influence of a negative shadow he or she may...". This invented examples are often very exagerated, suposedly to show the author's sense of humour, and they do little to clarify the issues compared to real-life cases. When real-life cases are explained, only the conflict is given, but not usually how this was solved. However, as I have already said, this book is useful to understand many of Jung's complicated concepts, and as an introduction or first step in you journey of self-knowledge. 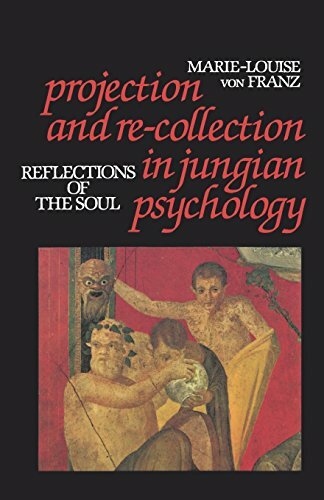 Dr. Eugene Pascal provides an illuminating book which clarifies many complex principles and concepts of Jung, bringing them into everyday reality. Most impressive are the chapters on on 'individuation', 'the shadow' and 'psychic wholeness'. His explanation of how symbols operate within dreams is quite outstanding. The most enjoyable chapter for me explained how myths and legends are enacted unconsciously within us. The author provides numerous examples of how archetypes, the anima and animus, and "the functions of consciousness", typology, helps us live in the world and resolve conflicts. How we "transform" ourselves is the main thrust of this book ... as Dr. Pascal observes ...in order to let our Light shine forth we must explore the Source of our energy. This is truly a fascinating book worth owning by anyone who is exploring Jung and consequently doing "inner work". The book is all about how we manifest our reality ... a truly magnificent journey! 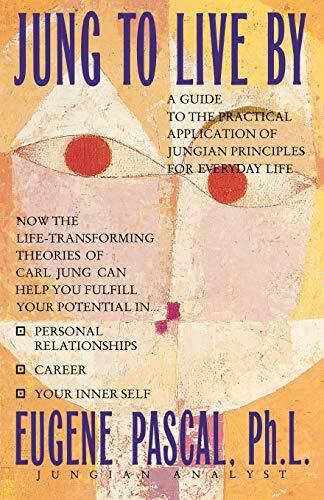 This is a lay-persons guide to Jungian theory and shows you how to uncover hidden aspects of your personality, how to interpret dreams, develop creativity and improve relationships. It conveys the essence and spirit of jungian thought in a simple and effective way. Lots of interesting stuff on complexes, archetypes and integrating the personality. I found the discussion of the dynamics of relationships very helpful. I just think more focus on practical implementatiuon in the form of exercises would have been even more helpful, otherwise you'll have to read the book over & over again. Includes a good bibliography and index. This book provides the clearest explanations I have seen yet of many of the stickiest concepts in Jungian psychology. The author's background in Jungian therapy and religious studies are blended together skillfully to produce a readable and instructive introduction to this fascinating subject. The chapter on typology, a technique for understanding our inner selves and why we are not true to them, is one of the clearest I have ever read. The concepts of persona, complexes, archetypes, shadow, Anima and Animus, etc., are presented clearly and directly. 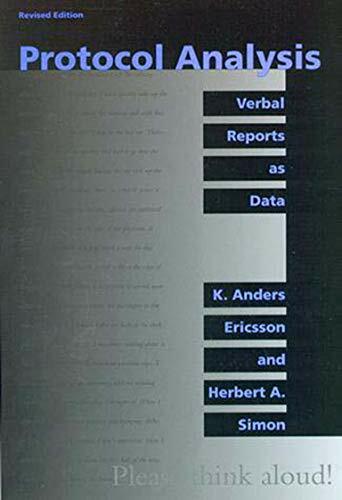 The author is always careful to ground the information in real-life language and experience, making it meaningful and applicable to the reader. 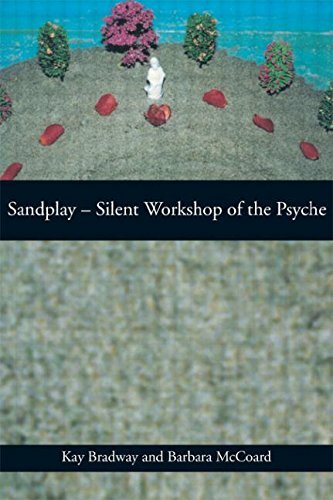 The book concludes with chapters on dream interpretation and active imagination, spurring readers to discover their own psychic process through the use of these powerful techniques. While an introductory book, this work provides much to think about. The author's compassion and sense of humor are evident throughout. It is a worthy addition to the library of those interested in Jungian psychology and personal growth. A thoughful and intelligent read with life-altering results. I read Jung's Answer to Job and then moved on to this book by Edinger and found it really helpful in "unpacking" some of the information from Jung. I definitely recommend getting the two books together. I have some issues with Edinger, who remains at heart rather conservative. He also falls into a bit of hero worship with Jung. Still, his intellect is keen, and he is much easier to grasp than Jung (though Answer to Job is one of Jung's least obtuse). The lecture format is a blessing and a curse. It succeeds in drawing you in and imagining yourself there in Edinger's presence, but also results in the flow of the text being kind of loose. Beyond all this nitpicking, the topic covered is powerful, pressing, exciting, and challenging. It is the Jungian approach at it's best. Common sense and intellect are applied to the Western God-image without killing off that which is being studied. Very few authors seem interested or capable of engaging the God archetype at this level. Most revert to reconciling humanity with God's mysterious ways or decrying the limits of the Judeo-Christian archetype. These books are babysteps towards why God has progressed the way "he" has. Jung has said that Answer to Job is the one book he wrote he wouldn't change. Answer to Job covers more than psychology, it is a book of poetic dimensions. It is notoriously hard to understand. Edinger's work opens up the contents of Answer to Job. Every page of this wonderful little book is brimful of insights taking one from appreciation of Answer to Job to understanding. Edinger has a gift for expressing complex ideas in simple concrete terms. He is a master educator. Jaffe has done a masterful job of converting Edinger's lectures into a book. The book will give you a greater understanding of Jung, his spirtual quest, and Jungian spirtuality. Jung is one of the twentieth century's greatest scientific, spiritual and cultural forces. Edinger helps one get more from Jung's rich mythopoeic and psychological insights. This book is the definitive biography of the most influential American psychologist of his generation. 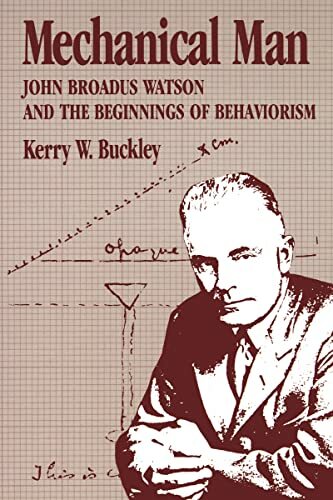 As the founder of behaviorism, John Broadus Watson exerted a powerful influence on the development of American experimental psychology. By the age of 36, he was president of the American Psychological Association and head of the psychology department at Johns Hopkins University. But his dramatic dismissal from academic life in 1920 propelled him into the very center of the Jazz Age - Madison Avenue. As an advertising executive, Watson brought his psychological expertise to bear on the marketplace. As apopularizer of psychology, he made behaviorism a household word. Through books, magazine articles, newspaper stories, and radio broadcasts, he established himself as an expert on subjects ranging from child rearing to economics. Regression toward the mean is a complex statistical principle that plays a crucial role in any research involving the measurement of change. This primer is designed to help researchers more fully understand this phenomenon and avoid common errors in interpretation. 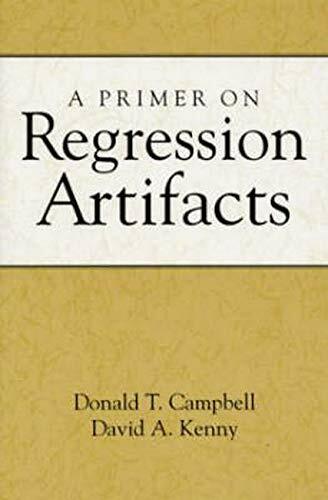 The book presents new methods of graphing regression toward the mean, facilitating comprehension with a wealth of figures and diagrams. Special attention is given to applications related to program or treatment evaluation. Numerous concrete examples illustrate the ways researchers all too often attribute effects to an intervention or other causal variable without considering regression artifacts as an alternative explanation for change. Also discussed are instances when problems are actually created, instead of solved, by "correction" for regression toward the mean. Throughout, the authors strive to use nontechnical language and to keep simulations and formulas as accessible as possible. A certain dry humour makes the book very readable. The description of social pressures in learning to lie, and animal world comparisons, are a useful perspective. The central theme - the danger of lying to oneself, or self deception - is of great importance in working in any large organisation. I would prescribe it as essential reading for managers and directors of most modern organisations Many readers may lack the objectivity to appreciate and believe the reports contained in the book, though they are well researched and well documented. I hope the next edition may spend more time in coping with lies. There are 13 pages in this book on therapeutic approaches toward the deceitful person. The comments on "groupthink", which involves bias of group behaviour, could also be expanded in future editions, with comments on the efficacy of countermeasures. 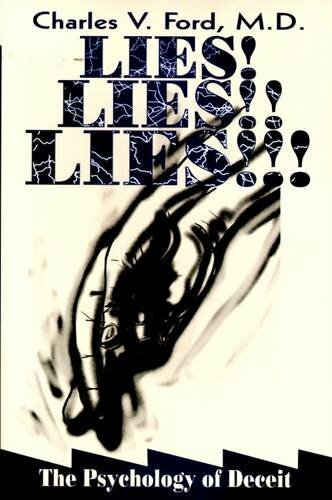 Ecellent psychological look at lying. Excellent resource for beginning and advanced therapists. A must for knowledge workers! This book should be 'the bible' for everyone involved in knowledge management processes. Holland, as one of the complexity theory founders, decribes the essentials of how complex adaptive rules, in relation to the variability of the environment, determine knowledge dynamics and learning capabilities. 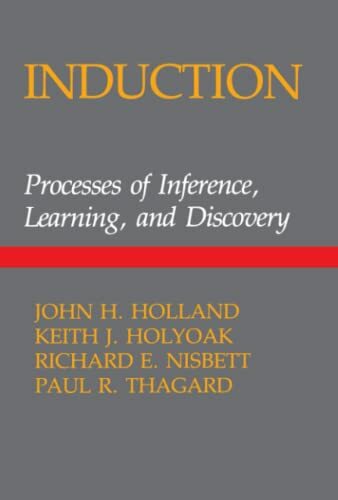 Key message of the book is the way that processes of induction, both cognitive and subcognitive, determine rule making, rule adaptation and environment modeling. 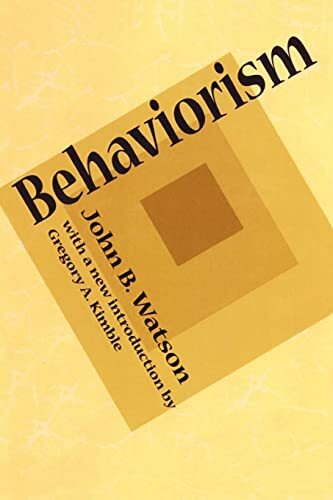 John Watson's new idea for psychology, behaviorism went through this country like wildfire, mostly because of his book behaviorism. It is detailed, and for the most part, easy to read. 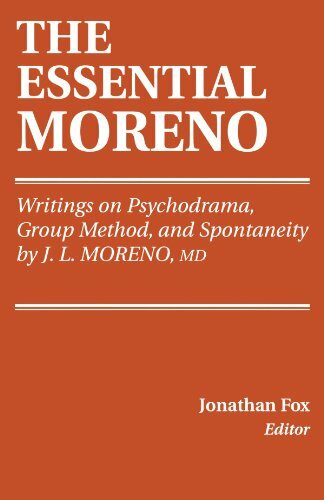 Anyone who is enterested in behaviorism and its techniques should read this book. One of the most original and influential books of our age.